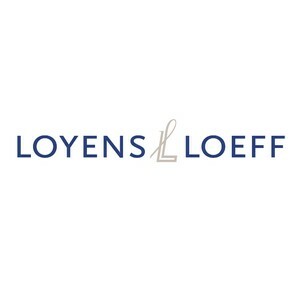 As a leading firm, Loyens & Loeff is the natural choice for a legal and tax partner for starting or conducting business in or from Belgium, the Netherlands, Luxembourg or Switzerland, our home markets. Our clients can count on personal advice from any of our 900 advisers based out of one of our offices in the Benelux and Switzerland or in key financial centres around the world. Thanks to our full-service practice, sector specific approach, and thorough knowledge of the market, our advisers deeply understand the needs of their clients. Our Healthcare Team provides solutions for all possible legal and tax issues that arise in the healthcare sector. Issues related to healthcare regulation often require a multidisciplinary approach. For this reason, our team combines its expertise in the fields of regulatory, administrative law, corporate law and M&A, data protection, private equity, IP, IT, VAT, banking and securities law, employment law and dispute resolution. We believe this integrated approach, in which legal and tax expertise often goes hand in hand, guarantees efficient and creative solutions. Our Healthcare Team has several years of experience in advising and litigating for various companies that are active in the healthcare sector, including healthcare manufacturers, entrepreneurs and organisations (in a cure as well as care capacity). In addition our clients include various investors in healthcare, such as banks and investment management companies. Our Healthcare Team has already been providing tailor-made advices in the fields of medical devices (including classification, CE marking and software as medical devices), patient data protection (including data protection audit, drafting of data protection clause in various agreements, compliance in case of data processing and data transfer etc. ), clinical studies (including the procedure before the Ethics Committee), human tissue, marketing towards health care professionals, as well as the drafting of distribution and partnership agreements in the health sector and regulatory questions relating to e-health in general. At Loyens & Loeff, we strongly believe in innovation and entrepreneurship. We have therefore created a dedicated Startup Team which aims at assisting startups in the creation and protection of value. Our sector specific approach and our multidisciplinary expertise, combined with our deep understanding of the expectations and requirements of the startup community allow startup businesses to be surrounded by the best professionals from the very start.